The First Museum dedicated to Giacomo Casanova has been opened in Venice after 220 years. Casanova Museum& Experience envisages a multimedia exhibition where the visitor is the main character of the Casanova story, with a first-hand view of his world in his time. Let yourself be seduced by the history and ingenuity of the famous libertine, discovering the man beyond the myth. We are welcoming all at our stand Stand E 78, Hall 16 to taste the best Prosecco from Made In Italy. is the world’s largest and most prestigious wine competition judged by top wine experts dedicated to Asian market. We are thrilled to announce new medals coming to our collection! The Expo will be curated by Sascha Bailey of Quite Useless and will showcase art in its amazing and unexpected forms. 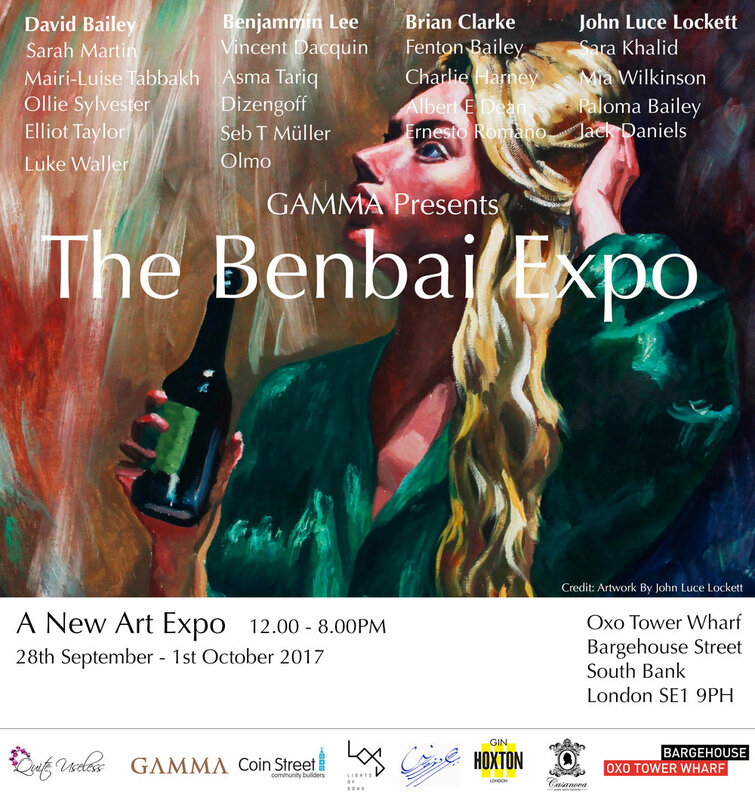 David Bailey will be showing his never before seen painting collection and Brian Clarke will be submitting some wonderful unexpected contemporary works. Alongside these two heavyweights of the international art scene we will be showcasing, for the first time in the U.K., artworks by the well-established Chinese artist, Benjamin Lee, created while working with Yayoi Kusama (Benjamin worked with and shadowed Kusama for over 3 years). You can enjoy art with Casanova at the Bar which will be open for the duration of the show where you can grab a drink in a view of works by Pablo Picasso, Miro, and Dali. Veronika Stefanova was crowned Miss World Bulgaria 2017 at the finale of the Bulgarian national beauty pageant held this year as the Miss World & Universe Bulgaria 2017 at Rainbow Plaza in Sofia, Bulgaria. Our sparkling congratulations to all the beauties participated!!! Come to Imbibe UK and taste our amazing and sparkling Prosecco! We are waiting for you at STAND C6. 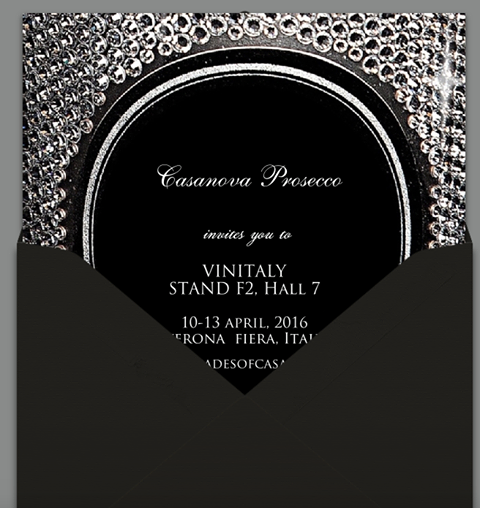 Good news for Casanova Prosecco! We won the bronze award at Shanghai International Wine Challenge. The competition attracts thousands of entry wine from more than 20 countries every year. SIWC is co-organized by China Council for the Promotion of International Trade Shanghai Pudong Sub-Council and Shanghai Waigaoqiao International Exhibition & Trading Center of Wine & Beverage which is the one and only wine challenge organised by the government. We are definitely happy about this award and we are looking forward to winning more in the future! The soiree hosted by Miss Carla Marie Williams, and Miss Vivianna have given the opportunity to bring many powerful women together to network, create lasting relationships and raise money! Thank you so much to everyone who has enjoyed our Prosecco at the event and to all the amazing women that we met during the event: Girls Power always win! A music festival arising in the heart of tranquil Cambridge, combining the refined traditions with a new wave of grime, roots music and sparkling mood with Casanova waiting for you this summer! It is the second year we are taking part in the International Wine Challenge, which is the world's finest and most meticulously judged wine competition which assesses every wine blind and judges each for its faithfulness to style, region and vintage. 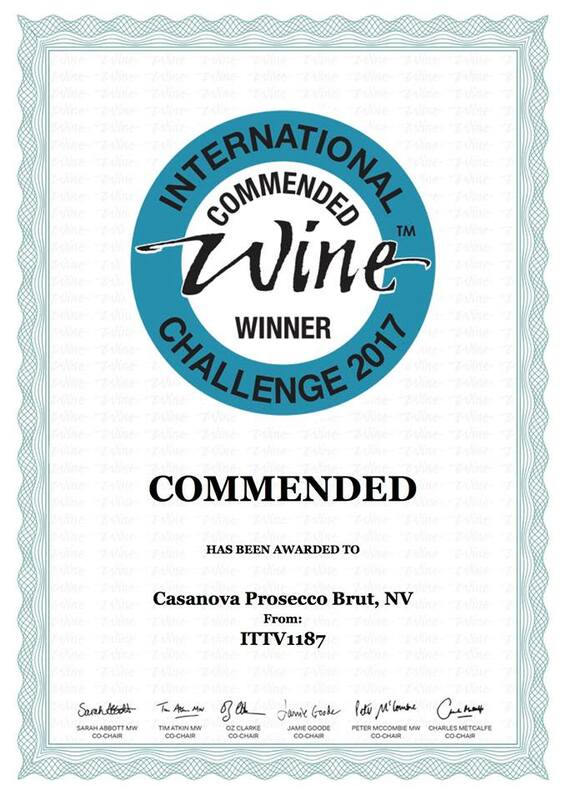 Our Casanova Prosecco Brut has been awarded with commended winner award. 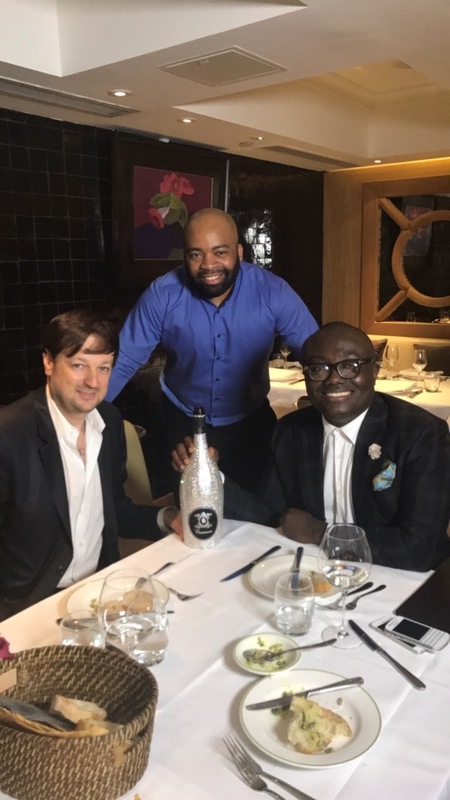 This fashion prosecco perfectly suits with fresh fish, caviar and chicken. We are also glad to announce that Casanova Henriette Cuvee Brut, has delighted the jury and we won the bronze medal. 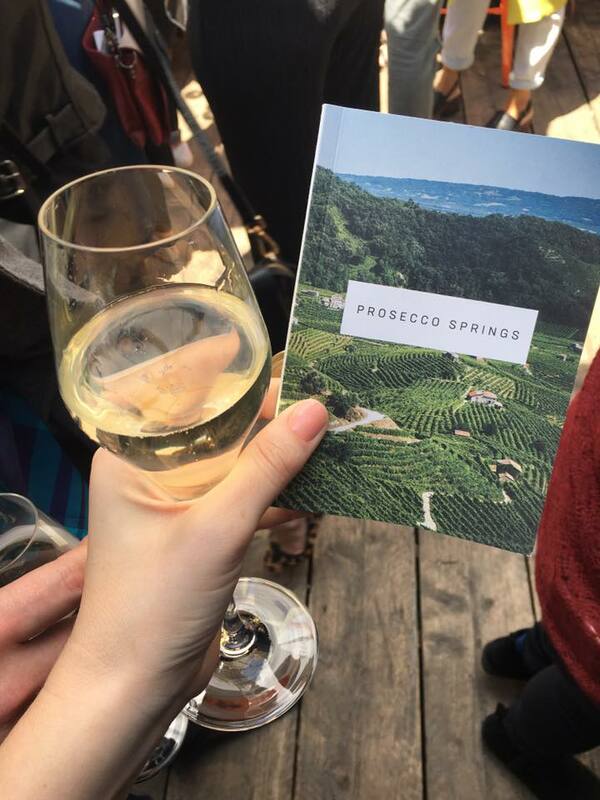 Prosecco Springs is London’s foremost festival solely dedicated to Prosecco. Experience a slice of Veneto in the heart of East London, with tastings, Italian food, live music and more. It was an amazing experience at #proseccosprings! We have enjoyed so much our time there and we are so happy that you liked our bubbles too! Those are just a few of the photos taken at the event, but please, if you have others, don't hesitate to tag us, we will add it on our Facebook and Instagram. We also want to remind you, that if you have our t-shirt and you will follow us and tag us in any kind of social medias, you might win a case for FREE! Casanova has arrived in Hong Kong together with Versace for Grand Asian Pacific Opening. 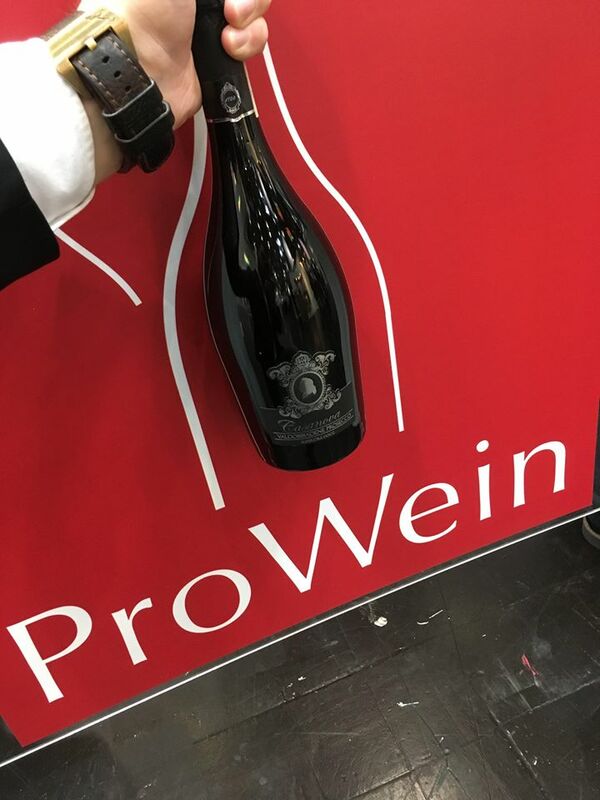 Prosecco Casanova is going to Düsseldorf for Prowein 2017 from the 19th of March until the 21st of March we are waiting for you at International Trade Fair for Wines and Spirits! Come and visit us at Hall 16/ E78. Runway of bubbles. Casanova official beverage sponsor for the Versace fashion show! From the 15th to the 17th February 2017, find us in Cannes for the first edition of @PINK. The International Rosé Festival. We are looking forward to welcoming you at the stand C06 and introducing you to our wines. We spent our last Saint Valentine at Library London and we were delight about the amazing atmosphere and the warm welcome that we received by all staff. Based in St Martin's Lane - right in the heart of London's Covent Garden, LIBRARY is a members club, a place set apart to contain books, periodicals, and other material for reading, viewing, listening, study, or reference, as a room, set of rooms, or building where they may be used or borrowed. Moreover, they added eclectic and innovative design, inspirational and thought provoking programming, food, drinks, overnight rooms and wellness right in the heart of London's theatre land - so you never have to leave. We definitely suggest this member club in company of our Prosecco Casanova that will make your staying definitely much better! We had the opportunity to host an amazing event at Drapers Hall. This was a magical place where the guests had the chance to taste our prestigious wine and also to discover Prosecco Casanova’s story. It was an amazing night with Prosecco Casanova, and we would like to thank the Italian Chamber of Commerce for the UK for this opportunity given us. "50 Shades of Casanova" - The largest wine show in the world celebrates 50 years and to mark this notable anniversary we are going to present a variety of our prosecco and sparkling wines as 50 Shades of Casanova. We are happy to announce the successful launch of The White Collection at Quintessentially Weddings Atelier. We welcome everyone to purchase this beautiful collection at our online shop. Make this spring/summer season sparkle with Casanova! N21 opens its first flagship store in Italy, in Milan. The space located in the fashion quad, at Via Santo Spirito 14, has an elegant atmosphere, never losing sight of the sophisticated style of the creative director and founder of the brand, Alessandro Dell’Acqua. Was a big pleasure to make this event more sparkling with Casanova Prosecco! On Thursday 12 November, over 300 guests joined Park Theatre Artistic Director Jez Bond, theatre staff, and volunteer at a gala fundraising dinner at Stoke Newington Town Hall, hosted in inimitable style by Ian McKellen. Labour leader Jeremy Corbyn, MP for Islington North and a longtime supporter of Park Theatre’s work, attended with wife Laura Alvarez. Broadcaster Clive Anderson led a lively auction for a luxurious selection of donated prizes, including money-can’t-buy experiences such as dinner with Benedict Cumberbatch and ‘Chicken Soup for the Soul’ evening of home cooking with Maureen Lipman. The auction alone raised £133,500, and the overall total raised for the evening was £215,000. Guests and friends of the theatre present included Alex Hanson, Alison Steadman, Anita Dobson, Derek Jacobi Frances Barber, Gillian Anderson, Greg Wise, Hattie Morahan, Honeysuckle Weeks, Jane Asher, Janet Street-Porter, Jemma Redgrave, Matthew Horne, Matthew Kelly, Orlando Bloom, Owen Jones, Samantha Bond, Tamzin Outhwaite, Tanya Franks, Tanya Moodie, Tim McInnerny and Tracy Ullman. Guests at the Gala enjoyed a delicious three-course dinner created by Boulevard Catering including seabass, lamb with a Meaux mustard sauce and frangipane apple tart, accompanied by Casanova Prosecco. The Independent Theatre turned into a scene of the most exquisite party of the season, hosted by the Italian premium prosecco brand Casanova and Diana Alexieva. The event celebrated the Bulgarian market entry of the Italian brand, which is known as one of the most popular brands Italian prosecco. Three types of the sparkling wine were served with the music of Beloslava Among her loyal fans were the actress Theodora Duhovnikova, the famous singer Nina Nikolina, DJ Martin, famous brothers Baharov - Zachary and Yavor and the host Diana Alexieva. The sparkling prosecco Casanova can be bought in Bulgaria and promises to host more prosecco evenings in Sofia in the beautiful company of Diana Alexieva and the music of Beloslava. Casanova cocktail party at Villa Lario with a VIP guest Chris Jagger playing sparkling blues for the guests.